As some of you know Ali Moore, Bron Webster and myself will be walking on hot embers this September to raise funds for the MS Therapy Centre in Bedford. The centre is funded exclusively through donations and fund raising and costs over £1,000a day to run. 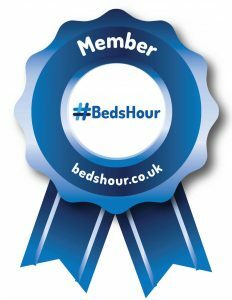 We would love to receive any sponsorship donations for this fab cause. 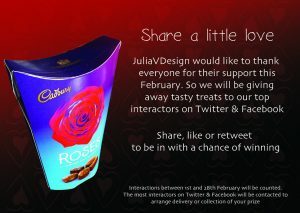 Just a reminder that JuliaVDesign is running a sweet treat giveaway in February. will each receive a lovely chocolate prize as a thank you for sharing the love. Have a great February everyone! 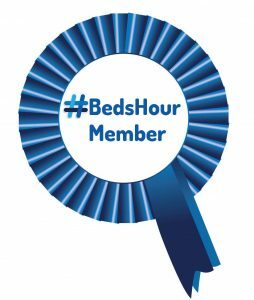 Some of us were wondering about having a rosette on our websites to show we are part of the #Bedshour family. So far we have the following designs, 1, 2 and 3. 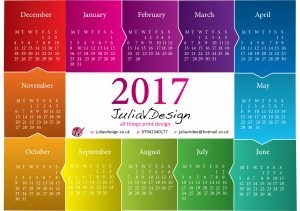 As I’m sure many of you know I’m Julia from JuliaVdesign. I’m a Freelance Graphic Designer with a love of all things print. I’m based here in Bedford and after 10 years of working for some lovely companies full time I’ve decide to take the plunge and begin the adventure of being my own boss. 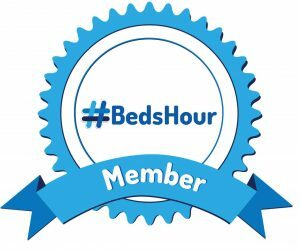 Looking forward to getting to know you all over on #bedshour!